In Illinois and many other states, non-competition covenants are often wrapped into broader employment agreements with little risk that this would pose any sort of hurdle to enforcement. But because non-compete law varies so significantly from state to state, this common practice may not be a great idea elsewhere. 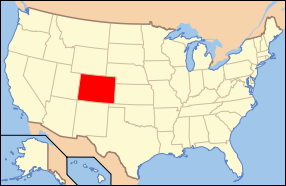 Colorado, for instance, is one state where non-competes are regulated by state statute. The governing law generally consideres covenants void unless they meet one of four specific exceptions. Sale of business covenants generally are valid if reasonable, and courts also will uphold covenants given by "executive and management personnel." For salespersons who do not qualify as a key employee under this latter, fact-intensive exception, a covenant still may be valid if it is "for the protection of trade secrets." Courts in Colorado generally require the purpose of the covenant to be trade secret protection. A recent case involving a dispute between a salesperson and a medical device company illustrates the importance of good, careful drafting. The court in Haggard v. Synthes Spine found that a non-compete met the purpose test in Colorado, noting specifically that the non-compete agreement carefully spelled out the exact type of information the employer sought to protect. The employer also deemed it important that the contract did not contain other provisions related to job responsibilities, pay or salary, or other incidents of the employment relationship. This rule seems a bit technical, suggesting that a comprehensive employment agreement containing covenants and other promises regarding employment may not satisfy Colorado's statute. In other words, for a non-management employee, an employer may be better off drafting two separate agreements - one focused entirely on trade secrets and any covenants against competition intended to protect those secrets. The opinion in the Haggard case itself was somewhat simplistic regarding the specific "trade secret" information to which the ex-employee had access. The court, like many, sort of assumed that product knowledge and customer data (e.g., contact persons, preferences) were trade secrets, though opinions are all over the map on this issue with the better reasoned approach being that employers ought to really show this information is more than just "confidential" or general knowledge learned during the course of employment. In view of its conclusion, the court enforced both a client non-solicitation and industry non-compete covenant. Of course, the type of operational information in Haggard could be considered confidential, given its obvious importance but relatively fleeting lifespan (a fact admitted to by the employer in Haggard), and this may very well justify a covenant not to compete. But the statute requires protection of actual trade secrets - not confidential information - and so an analysis basically assuming that every bit of data about customers or products in development is a trade secret seems overly succinct and kind of silly.